ATP will have a booth at the Irish Festival in Old Town where you can rub shoulders with fellow Tea Partiers and educate the public about our core values. An evite has gone out to ATP members. Now the Executive Director of the Tax Revolution Institute, Dan Johnson is the driving force behind TRI's promise to fix the Tax System for all and, to hold the IRS to a standard of integrity and transparency. n.b. - Sevil holds her events in the evenings and usually charges around $15 for the food. We are proud to announce the first annual Liberty Farm Festival, to be held on September 10th from 12-6 PM. Please join us for an afternoon of bluegrass, BBQ, local wines, hay rides, pumpkin patch fun (including a pumpkin chucker), 9/11 and police tributes, Scottish/Irish bagpipers, and our Virginia republican November election candidates! We'll be welcoming a ?? SECRET HEADLINER SPEAKER ? ?, to be announced just prior to the festival...stay tuned to see who it is! Republican state delegates and senators, Dave Brat, Pete Snyder, Jim Gilmore, John Hager, Ken Cuccinelli, Bob McDonnell, George Allen, Jamie Radtke, Admiral Ace Lyons, and others! The liberty movement has stopped regulations before. The bureaucrats have to respond to every comment submitted. We can do it again! We need you to submit comments to the government again about new regulations being proposed by the Department of Education. The comment period ends on August 1st, so submit your comments today! The Department of Education is proposing new regulations that they claim will help students who have been burdened by student loan debt at no fault of their own, but in reality it would open up schools to frivolous lawsuits from trial lawyers at the expense of the taxpayer. Additionally, a government analysis on the regulations estimate the cost to taxpayers to be between $2 billion and $43 billion over the next 10 years. That is outrageous. The Department of Education shouldn't be able to burden American taxpayers with that kind of expense through the regulatory process. Help us stop another absurd bailout and leave a comment today. FYI - ATP recognizes not everyone will agree. 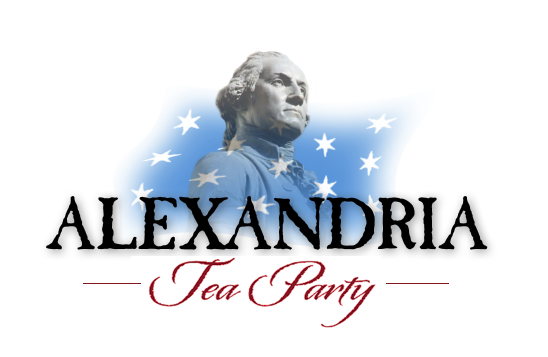 Get all TEA Parties in Virginia to mass e-mail and attend the meeting in Richmond. I called the Family Foundation. The state is destroying parental rights. California Democrats despite heavy citizen opposition from both Democrats and Republicans, parents, mothers, passed this dangerous law in California. You Virginians have the opportunity to stand up to the state for parental rights and family choice. No one should be forced to be vaccinated against their will! The state will do this with adults if we don't resist now! Watch the VAXXED documentary to see how vaccines are causing autism and other diseases and how CDC covered up evidence of vaccines link to increases of autism. The New World Order is using vaccines to soft kill populations because they injure people's brains and lead to death. In Africa, UN are giving vaccines with sterlization in it. The principle of religious freedom is such that it must apply to all or it applies to none. At The Family Foundation, we take that principle very seriously. That's why when we learn of threats to any religious liberty statement in our state law, we get concerned. During this year's General Assembly session, one bill was introduced, and then quickly struck after an uprising of people from both the political left and right, that would have removed the religious exemption for state mandated vaccinations for children. Despite the outcry, the proposal is now being reviewed by the General Assembly's Joint Commission on Health Care (JCHC). To make sure members of the Commission's subcommittee studying the issue know that parents in Virginia should be free to make decisions regarding the health care of their children, I am asking you to attend the meeting of the subcommittee on Wednesday, August 3rd at 1:00 pm at the General Assembly Building in Richmond. As someone as one who reviewed, considered and made decisions on each vaccination individually, this particular religious exemption is not one I've exercised, but there are some families in Virginia who take this exemption and they should be free to do so. In fact, Virginia has a high rate of vaccination and a very low rate of infectious disease. There is no health crisis and there is no compelling reason to remove the longstanding exemption. The law of Virginia allows for the state to suspend the exemption in case of an epidemic, so the fear mongering by opponents of the exemption that it is a health risk are unfounded. If at all possible, please attend the JCHC subcommittee meeting on August 3rd! In the meantime, please click here to email members of the subcommittee and urge them to support the current religious exemption for vaccines. * CHAIRMAN'S REPORT - FOOTBALL IS COMING - Please join us for the 20th Annual NOVA GOP PAC Monday Night Football Fundraiser on September 12, 7 PM at The Front Page - Arlington, 4201 Wilson Boulevard, Arlington. It's a way to help us raise crucial funds for our efforts and watch the Redskins vs. the Steelers with GOP friends! We'll be sending out invitations, and they won't be complete without your name on the top as a Host Committee supporter. Host Committee levels include: Sponsor-$100, Patron-$250, Benefactor-$500, Co-Host-$1,000. Tickets are only $20! Please sign up today, by donating online at https://www.campaigncontribution.com/contribution.asp?id=1556&jid= or mailing a check to NOVA GOP PAC, 13680 Bent Tree Circle, #403, Centreville, VA 20121. For more information, call (703) 502-0161. 7/25 - Donald Trump for President Rally - 1 PM Doors Open, 3 PM Rally, The Hotel Roanoke & Conference Center, The Roanoke Ballroom, 110 Shenandoah Avenue, Roanoke. Call: (646) 736-1779. 7/25 - Loudoun County GOP Committee Meeting - 7:30 PM, Loudoun County Government Center, 1 Harrison Street, SE, Leesburg. Call: (703) 627-5272. 7/25 - Prince William County GOP Committee Meeting - 7:30 PM, Benton Middle School, 7411 Hoadly Road, Manassas. Call: (703) 680-7388. 7/31 - 9th Annual Arlington County GOP Committee Picnic - 1:30 PM, Knights of Columbus, 5115 Little Falls Road, Arlington. Call: (703) 685-2488. 8/23 - Fairfax County GOP Committee Meeting - Call: (703) 766-GOP. 9/12 - 20th Annual NOVA GOP PAC Monday Night Football Fundraiser - 7 PM, The Front Page - Arlington, 4201 Wilson Boulevard, Arlington. Call: (703) 502-0161. Yes, Clinton will go after guns. This video makes it perfectly clear how they will do it. Members only need to attend if their name is listed below. The full commission DOES NOT have an August meeting scheduled. You are currently subscribed to receive notifications for King, Jr., Dr. Martin Luther, Memorial Commission. Please visit http://studies.virginiageneralassembly.gov/subscribers/new to unsubscribe. Will Americans Get in the Game and Save Our Country? A Fast Alert, you can tune in right now to Clinton Cash movie, a hard hitting fact based documentary which provides detailed insight into the most corrupt couple on the planet, Bill and Hillary Clinton. This link is good up to 11pm tonight only. Copyright © 2016 Virginia Free Citizen, All rights reserved. Huge victory! Late this afternoon, the Virginia Supreme Court ruled that Governor McAuliffe's executive order granting a blanket restoration of rights to felons was unconstitutional. This is a triumph for the Constitution and the rule of law. The Court directly rebuked the Governor, saying "Although the Governor is entitled to champion his views, he cannot do so in contravention of law." Read the whole opinion here. For the last 3 months, Governor McAuliffe has been trumpeting his executive order, even as numerous problems were found. McAuliffe signed it despite Governors Kaine and McDonnell concluding that such action was unconstitutional. Today's ruling proves that in Virginia, at least, no one is above the law, and the Constitution exists to restrict unlawful actions, even by the Governor. I was proud to help lead this historic effort, but many deserve thanks. Once General Assembly Republicans decided to sue the Governor, voters Bill Cleveland, Marianne Gearhart, Brett Hall, and William Slemp agreed to serve as petitioners. Our lawyers did an outstanding job preparing briefs and arguing the case. Ultimately, our arguments based on history and the text of the Constitution carried the day.